Acupuncture is a comprehensive system of medicine based in classical Chinese philosophy. Yin, Yang, Qi, Wu Hsing, Zang Fu – these are common terms used in traditional Chinese Medicine. (TCM) Needle defines acupuncture visually. However there is far more than needles, including moxibustion, cupping, gua sha, herbs, tuina, and qigong. Dr Andrei trained at Chengdu University of Chinese Medicine one of the oldest Universities of Chinese medicine in the world. 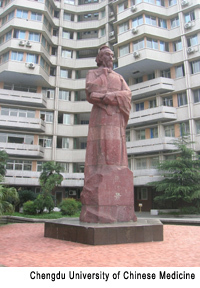 Many famous physicians in chinese medicine tought in this university throughought the centuries. 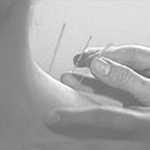 Acupuncture is a technique involving the insertion of fine needles into the skin at select points or points of tenderness. The practice dates back as much as 4,000–5,000 years. Practice are based on five elements: Yin, Yang, Qi, and Zang Fu theories. And more modern theories as well. Yin / Yang – in optimal health, Yin and Yang are in the perfect balance, the ebb and flow of the tides, day and night, hot and cold. Qi is the energy and potential energy that courses throughout the organism and defines what we call life. The lack of proper Qi flow in the system results in numerous illnesses. (quantum physics). Zang Fu - The Zang Fu are the Chinese organs, five solid Yin, liver, heart, spleen, kidneys, and lungs. Six hollow Yang SI, LI, UB, GB, SJ, ST. The five elements are fire, metal, wood, earth, and water. The correspondences between these elements have become a method of diagnosing and treating patients. There are basic 365 mapped acupuncture points along the 12 major and eight extra channels. As well as over 1,000 extra points and special use points. Microsystems such as the hand, ear, and scalp, wrist and ankle all with their points. Then there are ashi points, or pain points, that can be located anywhere in the body. Diagnosis procedure is different from Western Medical models. The use of observing physical clues such as looking at the tongue, eyes, voice, hair, nails, skin, face in general. Pulse taking. Three fingers are placed at a particular position on both wrists. Helps understand the body by reflecting each organ on each position of finger. Acupuncture can treat many conditions. Craniosacral therapy is a hands-on approach that involves “listening with the fingers" to the body’s subtle rythms and any patterns of inertia and congestion. Craniosacral therapy takes a whole-person approach to healing. The inter-connections of the mind, body and spirit are acknowledged as well as how the body reflects experiences and retains the memory of trauma. It is an effective form of treatment for a wide variety of illnesses, helping to create the optimal conditions for health, encouraging vitality and facilitating a sense of well being. Craniosacral is suitable or people of all ages, including babies, children and the elderly, for acute or chronic cases. Developed by French osteopath and physiotherapist Jean-Pierre Barral, Visceral Manipulation (VM) is a gentle manual therapy that enhances the mobility and tissue motion of the organs of the visceral system. These delicate techniques can alter and improve the entire body by enhancing the structure of the organs and the systems they function within. How Is CranioSacral Therapy Performed? Craniosacral Therapy is performed on a person fully clothed Using a light touch -generally no more than the weight of a nickel - the practitioner monitors the rhythm of the craniosacral system to detect potential restrictions and imbalances. The use of delicate manual techniques to release those problem areas and relieve undue pressure on the brain and spinal cord. A CranioSacral Therapy session can last from about 15 minutes to more than an hour, and the initial evaluation alone is often enough to correct a problem. The result? A central nervous system free of restrictions And a body that's able to return to its greatest levels of performance. CranioSacral Therapy strengthens your body's ability to take better care of you. It helps alleviate a range of illness, pain and dysfunction, including.